(Newser) – The well-documented evils of soda have led many people to switch to diet—but even that could be bad for your health, a new study suggests. About 2,500 adults in the New York area were studied for almost 10 years, and those who drank diet soda every day had a 48% higher risk of stroke or heart attack than those who drank no soda at all. Oddly, those who drank both diet and regular soda weren’t found to have any significant differences in risk. One doctor says the findings should be “a wake-up call to pay attention to diet sodas,” but a lead researcher cautions that this study is “too preliminary to suggest any dietary advice” and that more research is called for. 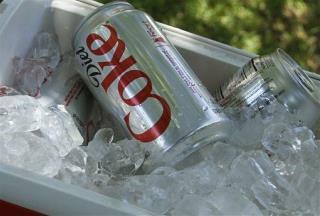 Doctors have no chemical or biological explanation for why diet soda may be risky. The study accounted for other risk factors including high blood pressure, smoking, waistline size, and more, and did not see a change in the risk, the AP reports. The American Beverage Association notes, however, that the study failed to adjust for a family history of stroke. Click for more reasons you should skip sugar-free treats ... or an opposing viewpoint on why you shouldn't worry. This just shows how illegitimate news coverage of scientific studies is. They took an associative study and cause a scare in the population. Now I'm not for diet soda or soda in general, but I am for the correct portrayal of scientific conclusions. Hmm, I'd be dead by now.